SEO is a tricky business, in some cases, it will not deliver the results that you might be looking for as a small business. At the same time, SEO is very important to your business’s overall online presence. Most consumers spend a lot of time researching a business and before they call, they look for reviews and information about the company to help them make a purchasing decision. This is where our SEO services come in, we not only elevate your listing for the keywords that will drive new customers to your door, we brand your business across all the major search engines like Google, Yahoo, and Bing. This way, when a potential client is in the research mode, they will find you and see what you have to offer them. They will recognize that you are not a fly by night organization, you are the best fit for whatever product or service that you offer. Believe it or not, we are small business owners just like you! We understand what small business owners go through to grow their businesses. We have designed our products to be a one-stop shop for Mom & Pop business owners. We offer affordable SEO packages to meet just about any budget and offer attentive customer service. Building your businesses online presence has never been easier when you choose Creactive. 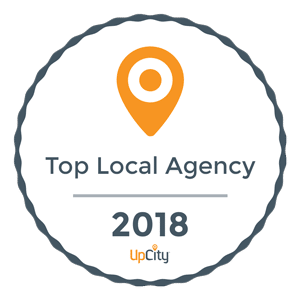 We will show you, clients of ours, ranking for high-value keywords in some of the largest cities in the United States and Canada. These are small businesses just like yours dominating the Google search in big cities. We know as a small business owner you have most likely had some experiences with other SEO companies. To be honest, we are not perfect either, we make mistakes, and sometimes it takes us longer than anticipated to get those top keywords for our clients. Search engine optimization is always evolving, what worked yesterday might not deliver the search engine results you desire. Our commitment to our clients is that we will continue to work towards your goals, we will answer the phone, address any questions, and provide you with detailed reports that will show the growth in your company’s online presence. Our SEO services deliver results, our customer service is second to none, give us a call, the first call is always free!